So, Governor George Simpson and Chief Trader Archibald McDonald have reached the banks of the Clearwater River, which will lead them westward toward the Athabasca River. They will travel down the Athabasca, to Fort Chipewyan: in the other stream, John Work and Peter Skene Ogden will go up the Athabasca, toward Jasper’s House. Their paths will not cross again. The route which we are following today is the route of the incoming brigades to New Caledonia before the York Factory Express existed. 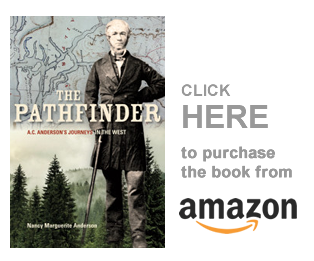 Chief Trader James McDougall came out this way in 1826: he returned to New Caledonia with the incoming Columbia Express of 1826. leaving them west of Jasper’s House and crossing the mountains via the Yellowhead Pass. This Pembina River cannot be the same Pembina River that runs into the Athabasca River below, or east, of Fort Assiniboine. These men have not yet reached the Athabasca, nor will they go past that Pembina River. Sunday, 10th. Head wind. Thunderstorm with flashes of lightning and tremendous fall of rain throughout the night. The water being shoal, we did not start before four o’clock [am]. Arrived at the Grand River Athabasca, which we found “good water.” Fine runs along the river. Passed Red River and the Little Hills opposite at half-past ten o’clock. Passed the Bituminous Springs on right, about noon, and reached Pierre au Calumet (pipe stone) on left hand at two o’clock. The Little Athabasca River was the Clearwater, and the Grand Athabasca the Athabasca River itself. They are now going down the Athabasca, hence northward, past modern-day Fort McMurray to Athabasca Lake. Every fur trader that went down that river commented on the coal and the “bituminous springs” they saw there. Monday 11th. Started after three. Breakfasted at eight, about nine miles above L’Embarrass, which we passed at half-past ten, leaving the old fort of Mr. Ross nearly opposite on the right hand. At one o’clock, White Fish Creek on the right. Did not enter Athabasca Lake before five. Crossed with the poles. Strong head wind. Strong head wind. Changed [dressed for arrival] on Coal Island, and arrived at Fort Chipewyan by seven, where we found Mr. William McGillivray. Mr. Smith arrived here from the portage with his three boats two days ago. The Indians were much pleased to see their old trader, Mr. Simpson, once more among them. It is just a month since we left York Factory. New, but very small potatoes. There is a ton of information in this last paragraph: Coal Island is at the mouth of the Athabasca River, where it flows into Athabasca Lake. As always happens before they arrive at a post on their route, the men and gentlemen wash and dress in fresh shirts, and the voyageurs don their fancy feathers and ribbons, or whatever else they may carry that fits their culture, be they Iroquois, Metis, or Canadien. “L’Embarrass” would be a blockage in the river, and it is likely that this is the Grand Rapid of the Athabasca. The old fort of Mr. Ross must have once stood on this rapid — does anyone know? There were a number of forts along this river in the past: Fort of the Forks was just north of the junction of the Clearwater River with the Athabasca. North of that was Fort Pierre-au-Calumet [mentioned above], on the east side of the Athabasca. North again, close to where the Athabasca flows into Athabasca Lake, was Pond’s House, and on the opposite side of the river and a little to the north was Fort Nottingham. The map I use for this information is dated 1811: many if not all of these posts had disappeared by the time Governor Simpson came north to take over the HBC’s Athabasca District in 1820. In regard to “Pond’s House:” this was Peter Pond’s house, built in 1778, forty miles south of the entrance to Athabasca Lake. Peter Pond was the first white man known to have crossed from the Hudson’s Bay watershed into the Arctic river systems (although, of course, the Metis and, perhaps, their Canadien fathers, were there before him). After a canoe-based six-week crash course in the workings of the fur trade under the tutelage of Robert Miles, immersed in the experience of travelling with a working HBC brigade in all its tattered drunken glory, [George] Simpson arrived on September 20, 1820, at Fort Wedderburn on Coal Island at the west end of Lake Athabasca. Clearly visible on the bluffs of the northern shore of the lake, a mile and a half away, were the magnificent wooden palisades, peaked roofs, watch tower and opposing flag of the rival Nor’Westers’ long-standing Fort Chipewyan. Wedderburn, by contrast, was more or less as John Clarke and his men had laid it out in 1815, a “scarcely habitable” north-facing assemblage of damp and smelly low-doored, sparsely windowed, hand-hewn, moss-chinked log buildings with its own approximation of a pointed log palisade surrounding the installation. Behind the “fort” was a huge cliff — good for defense, bad for keeping direct sunlight out of the buildings for six months of the year. And in front, off to the right, barely ten paces from Fort Wedderburn itself, was a most vexatious watch house built by the Nor’Westers, “an army of murderers, robbers, bullies and villains,” in the summer of 1819 to intimidate the enemy. Another good description of Fort Chipewyan is found in Eric Ross’s Beyond the River and the Bay: Some Observations on the State of the Canadian Northwest in 1811 with a View to Providing the Intending Settler with an Intimate Knowledge of That Country, [University of Toronto Press, 1970, 1973] — an amazing book! On a rocky point on the north shore of Lake Athabasca near the entrance to Slave River is Fort Chipewyan, the North West Company’s headquarters for the Athabasca Country. Before 1804, it had been on the south shore of the lake as shown by Arrowsmith’s map of 1811. Like most of the other important posts of the North west, Fort Chipewyan is surrounded by marshes which are much flooded in the spring and autumn. During those seasons, as at the others posts, the marshes are filled with ducks and geese. 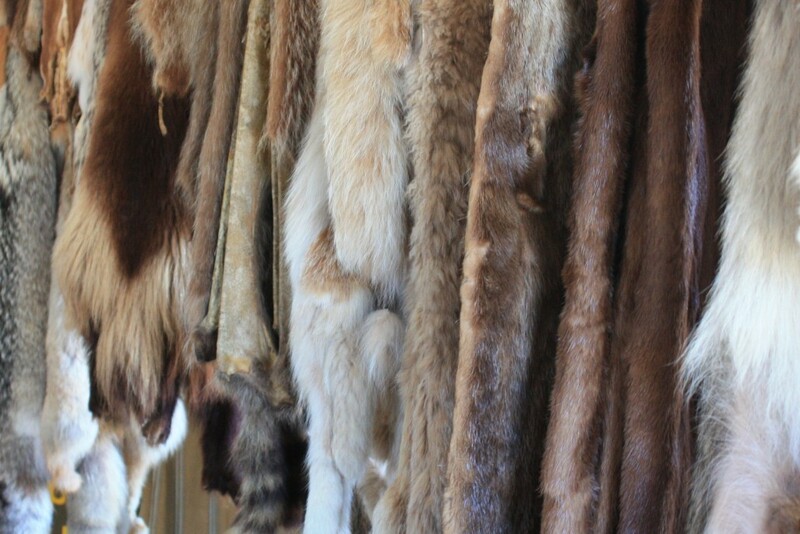 These are shot and preserved for winter use in salt which is “very plenty at this place” and which can be traded “at a very easy rate” from the Indians. Near the post is the usual garden which during part of the year relieves the endless monotony of the trader’s diet. Here, as elsewhere, the diet consists largely of fish from the lake, although whenever possible, this is supplemented with moose, reindeer, and buffalo meat. It sounds as if Athabasca Lake was a shallow lake, if they poled across the lake. In the notes to Peace River, the author tells us that Athabasca Lake was also called “The Lake of the Hills,” because of the east-west running height of land between the northward running rivers such as the Athabasca, and those running to the east and Hudson Bay. The editor also describes the lake as a “picturesque and beautiful sheet of cold, clear, snow-fed crystal water,” about two hundred miles long and about forty-five miles wide. At the west end of the lake the Athabasca River continues its flow north, but is now called the Riviere des Rochers. A few miles upriver is the mouth of the Peace River, which unites with the Riviere des Rochers and flows north under the name of Slave River. It is the Peace River we are interested in, of course. This is the river that will carry Governor Simpson west into New Caledonia. Tuesday 12th. Boisterous weather during the whole of last night and to-day. Men could do nothing to their canoes. Mine remains here, and we take another in its stead of rather a larger size.. Copyright Nancy Marguerite Anderson, 2017. All rights reserved.